Step one: cut your costs. Some people have a very limited income, but have a top of the line cellular phone, the best cable package, and eat at a restaurant several times a week (including breakfast, lunch, and dinner). Reevaluate your situation and cut out what you do not need. Do not buy the $400 cell phone when a $100 cell phone will be sufficient. Do not get the unlimited minutes plan for $150 per month, when a smaller plan for $50 per month is all you need. Get rid of all the movie channels that cost $2 extra per channel per month on you cable bill. Bring lunch to work, and do not run to your local coffee house every morning to buy a $3 cup of coffee. Taken individually, all of these costs seem insignificant. However, if taken together, you could be saving well over $100 per month on your expenses. 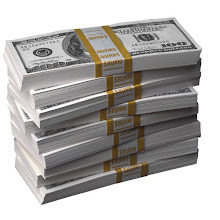 This money could then be used for investment purposes, thus creating an income stream. Therefore, not only have you saved money, but the money that you saved is actually making you additional money. Another good way to save money is to automate the process. Many banks will automatically take a portion of your paycheck and put it into a savings account at no charge (you will have to fill out some paperwork, but everything is usually very easy and takes almost no time to complete). By doing this, you are guaranteeing that you will save some money every month and makes the savings process easy for you. Keep in mind, every little bit can help you. Therefore, something as small as $50 per month is a good starting point if that is all you can afford. If you can do more, by all means, save more! Just remember, you want your money to work hard for you. Therefore, put your money into a banking institution that pays you a good interest rate. There are many Internet sites (such as www.bankrate.com) that will give you the interest rates of the banks in your area as well as national banks. This way, you can choose the best option for you. Start saving and you will soon see a difference. Once you have a little capital, keep your eyes open for investment opportunities that can help you achieve success. It is true that many companies exist that will claim to clean up your credit report for a fee. Some of these companies are less than ethical and some are outright scams, however, there are many legitimate companies that will clean up your credit report for a small fee. Many people believe that all of these credit repair companies are cheats that take your money and do no work to help you out. This is simply untrue. The company that I used to clean up my credit report definitely did its job, and has helped me raise my credit score over 100 points over the course of one year. Many skeptics argue that everything that these companies do can be done yourself for less money. This is 100% true, however, I do not see how that is relevant. I can make dinner at home for less money than going to a restaurant. However, under the skeptics logic, I should not go to the restaurant because it will cost more than making dinner at home. The point is, if you use a credit repair company, you are paying for experience and convenience. Of course you can do everything yourself, however, if you pay a company to take care of the problem, this means less work for you and, if the company is reputable and experienced, faster results. Does this mean that you should use a credit repair company no matter what? No, you should not use one of these companies no matter what. If you decide that your credit report needs to be repaired, you should analyze your situation and decide which option (paying a company to do it or doing it yourself) is best for you. Either way, if done correctly, the results will be worth the time and money. Can Student Loans be Discharged in a Chapter 7 Bankruptcy? First of all, what is Chapter 7 bankruptcy? Chapter 7 bankruptcy is also sometimes called “liquidation bankruptcy.” This is the bankruptcy option that cancels your debts. It is available to individuals, but does not cancel every debt that a person has. For example, a home mortgage is not a dischargeable debt. Could you imagine the amount of abuse that would take place if a home mortgage was a dischargeable debt? It is not hard to imagine a person buying something like 10 properties, filing for bankruptcy, having the mortgages discharged, and selling all the property for a large chunk of cash. As with home mortgages, student loans are not dischargeable in a bankruptcy proceeding. I know the attraction that student loans bring. I have been there and done that. I have borrowed over $100,000 in student loans in pursuit of my Bachelor’s degree and my law degree. Student loans are relatively easy to get, pay quickly, and have a low interest rate. As a result, many students borrow more money than they actually need. This creates a problem when students have to repay the loan upon graduation or at the end of ten years, whichever comes first. Students are shocked when the repayment period begins. Student loans can add up, and if you do not have the diligence to track your borrowing and cut your costs, you can end up in some serious trouble when the repayment period begins. Consolidating your student loan is a popular option that most students utilize in order to save on interest expenses. Although consolidation will save you money, it is not the “end all” solution to borrowing too much money. The truth is, there is no answer. The only way to solve the problem of borrowing too much money is to prevent it from happening. Remember, bankruptcy will not help you because student loan debt cannot be discharged in this way. Watch your borrowing and keep track of your expenses. Save money wherever you can and only borrow what you need to live. Borrowing too much will burn you in the long run and will be a difficult obstacle to overcome, especially since many graduates start to accumulate big expenses (such as a home mortgage, a car, marriage ceremony, a new baby, etc.) soon after graduation.